I can help you resolve any business issue, legal issue etc. So by purchasing this hourly you will get an advice for UN-complicating issues in legal, business matter , technically its impossible to delimit length of advice but will try to keep it to minimum ensuring maximum benefit and will be valid for a duration of 5 days. Please also note any rework will attract separate charge . I am just providing advice and or written resolution for the issues for a given period of 5 days post that you need to purchase further for more resolution or continuation . You will receive limited additional support till 18Aug 2018 i.e. total 18 days support. You can use this hourly for other legal work as well. The Fees mean assumptive best fees not necessarily committed fees for any documentation. You need to describe and discuss with me your business issues and expectations, rest assured! 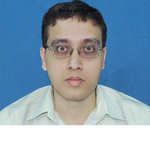 I am Shekhar, am a ex-litigation lawyer, have expertise in contract law . Experienced, Odesk (upwork) provider have good record there before they turn turtle, my experience includes legal drafting and writing per business requirements. I still draft contract for various jurisdiction and my clients are mostly from startup to mid size companies ! I am available per Indian Time Zone(9am-11pm) if you require me to work per your timezone then do have prior discussion. Drafting is an Art just like sculpture so there are fees that may not be dirt cheap but quite cheap in terms of quality!! I do prepare Contract, Agreement, T&C, Business analysis etc! I'm an Indian Lawyer! My exp? 10 years BUDDY! and I do like creative writing as well its my passion! My other work area including, translation and proofing! and amateur digital drawing! Please note I have zero tolerance towards, abuses, and strictly penalize people based on their abuse here or any where , virtual or real interaction. So if you are once listed as abusers you will pay 400x more at-least than other users! I did work with Legal Offshore to startups both remotely as well as onsite( where-ever possible) to help them thrive! In terms of legal work, we can help you with all sorts of drafting be it shareholder, partnership, web terms, privacy or business policy, legal letter for claim, bankruptcy filing documents etc. and I have clients all over the world US, UK, Canada, Australia, Russian Federation, Israel and keep adding…I personally manage all project work but I have a small team of other business specialist who work side by side but we never outsource! Unable to pay using existing payment gateways? Do not worry we have solutions for that too! Require more privacy ? We have it all! Just share your thoughts!! if you are here then the reason being your local providers are unable to help you with the work for reasons, like time, money, or both and mostly you will find our services exceptional but please understand there are restrictions and exceptions, so please do co-operate, we never intent to let you down. I remember one of our client from Canada had said (in other freelance forum) that “you can complete the work tomorrow, and you can leave for (the day) your home, and close your office, if you need to” although none of us left, but we felt great, it really feels great when someone says such soothing words, such warm gestures inspires us for more good work! Although most of the clients are very gentle and get back to me with their specification within an hour of such query and always help me complete the work on time, but there are exception thus the following notification, please note none of the work comes with a promise of unlimited rework but just 2 free review/rework, if the budget is $140 or above ; One must request for such free rework within 3 days of first draft. Additional reviews will attract fresh charges depending upon the work! If you delay more than 4 days to request rework or took more than 4 days to share requirement specification post purchasing such hourly or during such ongoing work, then work reinstating fees would be charged at 50% of the agreed fees in addition to fees already agreed. If you are aware of possible delays then inform us before hand and pay a few bucks to keep the project and availability live! Please note dispute will never bring solution so respond fast and help us serve you faster! We are available every day from 9AM -11.00 PM IST (GMT+5.30) for discussion, save during the festival of lights (Diwali)! Finally like my work? then endorse me!